Krav Maga is more effective for close quarters combat than many other styles of the mixed martial art. Unlike most Asian martial arts, it was born in the modern era. This makes it a very “applicable” system of self-defense. Karate and Kung Fu were developed to for individuals to defend themselves while traveling the dangerous highways of feudal Japan, Korea and ancient China. Krav Maga, however; is designed to be used in the tighter confines of an urban setting. Krav Maga literally translated means “contact combat”. Roughly translated from Hebrew it means “close quarter fighting.” It is a highly effective martial art that utilizes a combination of strikes, grapples, throws, locks and holds. This system of close quarters fighting originated from street fighting techniques of Jewish gangs defending themselves in the tough ghettos of Bratislav in the 1930s. Imi Lichtenfield developed Krav Maga in Czechoslovakia in the 1930’s. After the nation of Israel was born, Krav Maga was adapted and further developed by the Israeli security forces. Being a modern martial art, it also provides reliable techniques for defending oneself against an opponent armed with a gun, stick or knife. Close quarters fighting in Krav Maga is about using simple, direct movements to neutralize an opponent quickly. It’s a fighting style developed on the streets and perfected on the battlefield. There is no sporting federation or points system involved. Groin strikes, joint breaks, and eye jabs are all legitimate close quarters fighting techniques that are learned in Krav Maga. 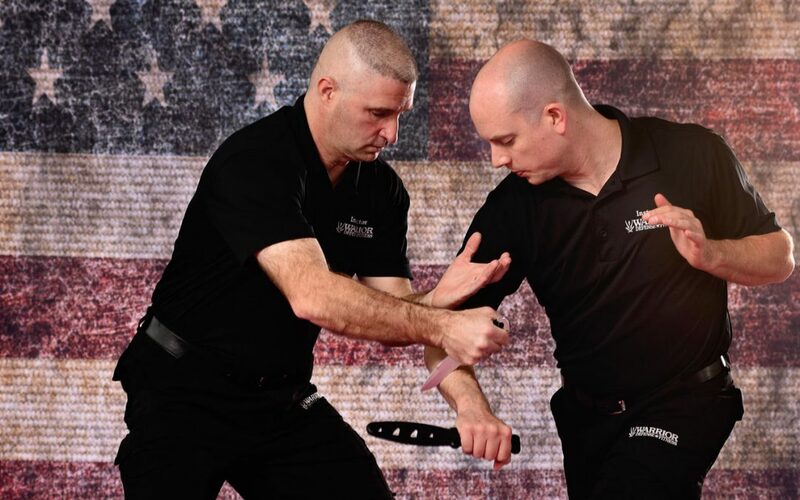 Close quarters defense in Krav Maga is reliant on several factors. Technique is of course essential but so is awareness, discipline and aggressiveness. Unlike many martial arts that are embodied with a non-violent code, aggressiveness is vital in Krav Maga. Close quarters fighting in Krav Maga is about ending an encounter quickly and when necessary, brutally. Discipline is key because without it is impossible to master Krav Maga; and awareness is key because it allows you to head off or avoid conflicts before they arise. In worse case scenarios, awareness can help you determine when it may be necessary to launch a preemptive strike. Krav training is realistic in nature and prepares students in the event they should find themselves in a close quarter encounter. Many of the techniques used in Krav Maga are popular with mixed martial arts competitors. They appreciate their effectiveness in bringing down an opponent. Close quarters defense in Krav Maga is not really something you can learn by just reading about it. In order to really learn the techniques, you need training from qualified professionals.